What happens to your income in the event you are hospitalized? Your income is simply paid to another laborer who fills in your place while you are away. It is, therefore, prudent for you to continue earning during a season of hospitalization. The majority of workforce in India is employed either through agriculture or small and medium enterprises. One distinct characteristic of employment in this sector is that a wage is only guaranteed as long as one remains productive to the enterprise, save for a few owners or top management in some well-established and capitalized firms. What happens to your income in the event you are hospitalized? Your income is simply paid to another laborer who fills in your place while you are away. It is, therefore, prudent for you to continue earning during a season of hospitalization. Health insurance companies extend a product also known as daily hospital cash insurance (DHC) plan. In this plan, the insurer pays an agreed amount to the person covered based on the number of days you may be in a hospital. 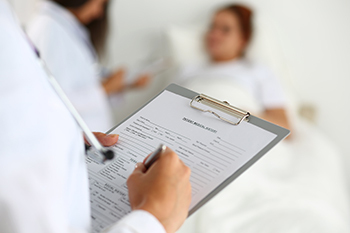 The payout in a DHC plan is not connected to the actual hospitalization expenses and one can claim both the DHC and Mediclaim policies simultaneously. Let us assume you hold a Mediclaim plan of Rs. 5 lakh and purchase an additional DHC policy with a daily benefit of Rs.5,000. In case you are admitted for four days and thus incur a hospitalization bill of Rs.40,000, the Mediclaim policy will reimburse the amount in this bill. Also, at the same time you will get Rs.20,000 for the four days you were hospitalized. Most insurance companies recognize the fact that for ICU stays or major surgeries, hospitalization costs would increase. In such cases, insurance providers increase the payout amount to double or five times the daily cash amount. In the above case, the amount would increase between Rs.10,000 to Rs.50,000 per day. The main advantage of having a DHC plan is that your earnings will continue even during periods wherein you are unable to present yourself for work. The plan will especially be beneficial for self-employed people and the ones whose daily income depends on their ability to present themselves to “do the job”, for example, mechanics, freelance workers, and commission-based agents. You can opt to pay for the hospitalization expenses using the proceeds from the DHC plan, where it is possible, thereby keeping your no claim bonus advantage intact. The DHC plan also caters to other expenses (incurred during hospitalization) that are not covered by the Mediclaim policy. These may include travel expenses incurred by your family while shuttling between hospital and home and expenses pertaining to food and refreshments. DHC plans are good but not all that rosy; therefore, it is important to indentify the limitations and exemptions applicable specific to your insurance policy during the purchase. Limitations may include the number of days allowed, which may be capped at 30, 40, 50, or 60 days depending on the terms of the policy. The devil lies in the details. Go through the terms carefully before making a purchase decision. You might be able to avail exemptions in case of voluntary or planned hospitalization. Daily hospitalization cash plans are a good way to maintain your income flow and brace for unforeseen occurrences like an illness. It is a prudent move, especially for self-employed individuals.